Milan kick off their Europa League campaign with a match against F91 Dudelange. The Rossoneri did well to beat Roma in the Serie A derby and despite the fact that the Luxembourg side have been producing fine displays in the Europa League qualifiers, we believe that there is a big value in betting on the Serie A side, who are considered one of main favourites to win the Europa League trophy. Genaro Gattuso’s men are likely to go all guns blazing at F91 Dudelange in the opening match of their Europa League campaign and we predict that the Italians are going to prove their worth on the field. The underdogs are eager to claim yet another major scalp in the Europa League this season, but given the quality of the Serie A side, we do not believe that they are capable of giving fans yet another reason for celebration. 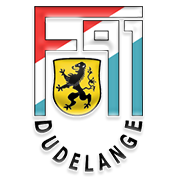 Born in Luxembourg on October 19, 1992, David Turpel is a striker who plays for F91 Dudelange. Over the years Turpel has established himself as a one of the best attackers in Luxembourg and he is likely to play an important role in Dino Toppmoller’s team in the 2018/2019 Europa League campaign. David Turpel represents Luxembourg on the international stage and it has to be noted that he scored his first goal for the national team in the Euro 2016 qualifiers. Turpel found the net against Macedonia, but that did not help Luxembourg avoid defeat in Skopje. He scored his second foal for the Luxembourg national team in a friendly against Albania in June, 2017. Luxembourg eventually won the match 2-1. His preferred foot is right, whilst his main position is centre-forward. The 188cm-tall striker has 10 caps for Luxembourg U21 team, scoring one goal in the process.